An adaptable table for your camping trip with a hard solid work surface, a robust powder coated steel frame and a sturdy 30kg capacity, ensuring that it is designed to last. 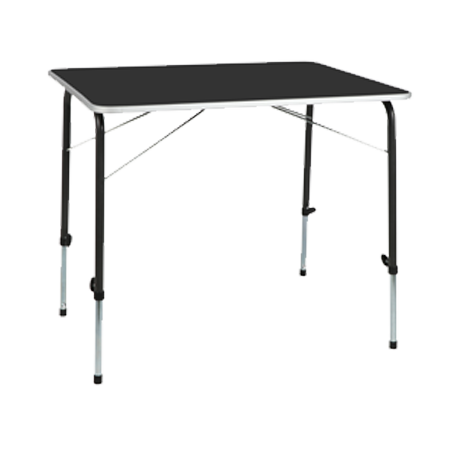 The Medium Kingham adjustable table has 4 adaptable legs to enable individual height positioning and ensure that the table is suitable for use on uneven ground. Also available in Large -120cm x 80cm.